Odyssey House is a self-catering accommodation located in Chania Town. Free WiFi access is available. The property is 200 metres from Saint Anargyri Church and 200 metres from Mitropoleos Square. 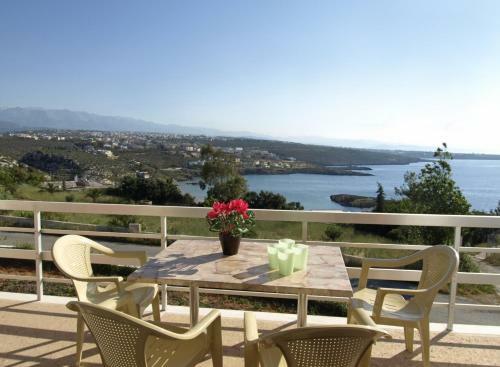 Set in Stavros, Apartment Kiani Skoulas - 01 offers self-catering accommodation with free WiFi. The apartment is 1.3 km from Archaeological Collection of Stavros Ithaca. Free private parking is available on site. Located in the old town of Chania, Maro Rooms offers rooms with free Wi-Fi access within 200 metres from the port. Nea Chora Beach is 600 metres away, while cafes and traditional restaurants serving Cretan cuisine are within walking distance. 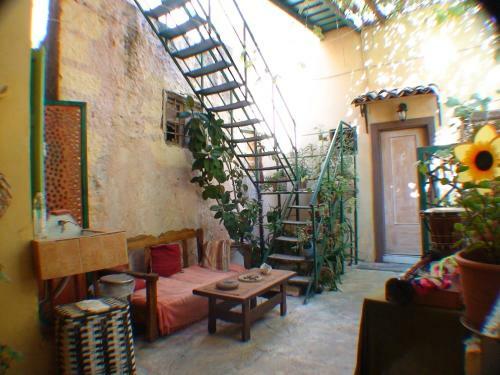 Located in Stavros, this apartment is 1.3 km from Archaeological Collection of Stavros Ithaca. Guests benefit from free WiFi and private parking available on site. The kitchenette has a refrigerator and a stovetop, as well as a coffee machine. Apartment Chania - 06 offers pet-friendly accommodation in Stavros. The property is 1.3 km from Archaeological Collection of Stavros Ithaca and free private parking is offered. Free WiFi is provided throughout the property. Located 1.3 km from Archaeological Collection of Stavros Ithaca in Stavros, this apartment features free WiFi. Free private parking is available on site. The unit equipped with a kitchenette with a refrigerator and stovetop. A TV is provided. Holiday Home Chania - 03 is a holiday home located in Stavros in the Crete Region and is 1.3 km from Archaeological Collection of Stavros Ithaca. Guests benefit from terrace. Free private parking is available on site. Located 60 metres from the beach of Agia Roumeli, the quietly located Artemis Studios offers split-level, self-catering accommodation with side sea view towards west, garden or mountain views from its balcony. It features a family-run restaurant. 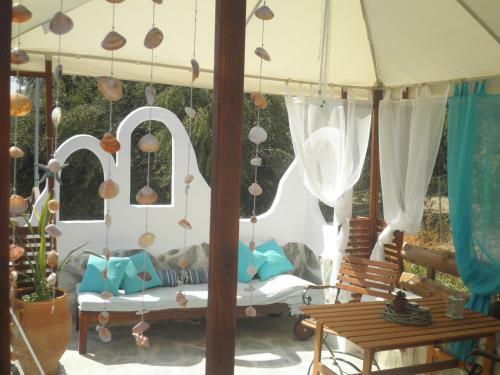 Located 10 metres from the beach of Chrissi Akti, The House By The Sea offers a garden and balcony overlooking the sea. It also includes a furnished patio with an outdoor dining area and a BBQ. 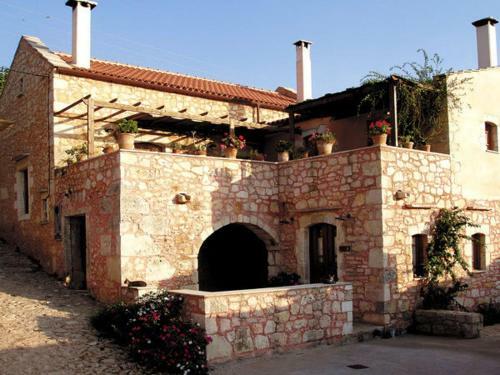 Built of local stone and wood, the family-run Tsivaras Villas are located in Tsivaras Village. 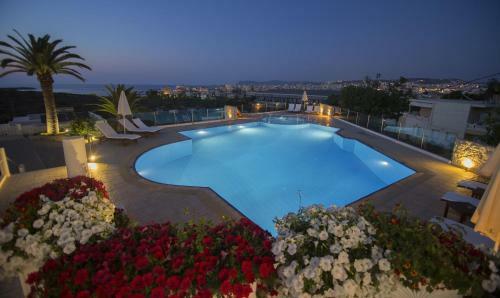 The spacious and self-catered accommodation boasts Cretan Sea views and a shared or private pool. 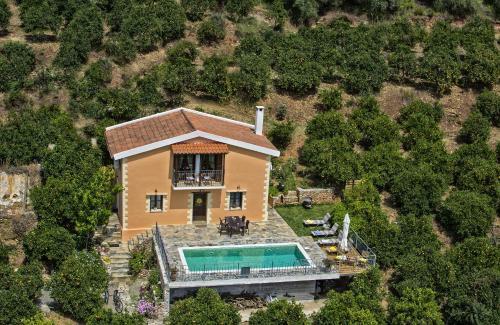 Situated in the wooded hillside of Agios Matthaios, a 5-minute drive from scenic Chania in Crete, family-run Villa Pefki features a swimming pool with hydromassage jets. The apartments are surrounded by flower gardens and have free Wi-Fi. Situated in Chania�s Koum Kapi area, Argo Beach Hotel is only 100 metres from Chania�s Old Town and Venetian Port. It has an in-house bar-restaurant on the ground floor. Argo Beach offers air-conditioned rooms with furnished balconies with sea view. In the centre of Paleochora, 100 metres from Halikia Beach, family-run Rea Studios & Apartments offers free Wi-Fi in public areas. It features self-catered accommodation with a furnished balcony. 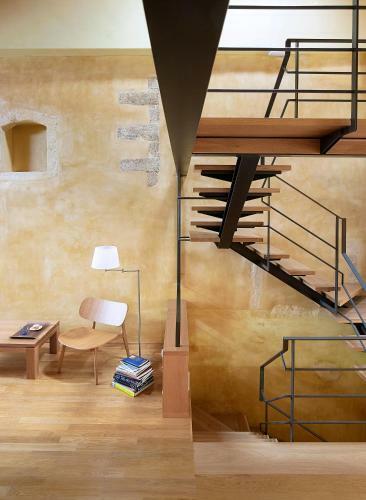 Restored using natural materials, the 14th-century Kamares Houses is a listed Venetian building located in Maheri Village. 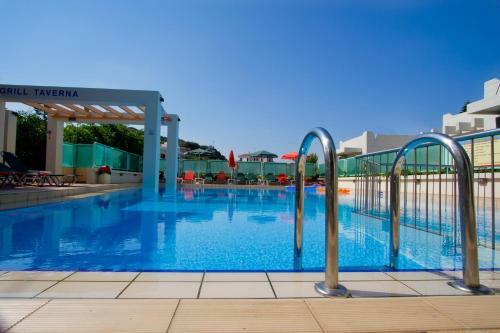 It boasts an outdoor pool, BBQ facilities and apartments with a balcony overlooking the pool, mountain or Cretan Sea. Just 70 metres from Chryssi Akti, Villa Naias is set amidst well-kept gardens offering accommodation with kitchenette and private balcony. Within a short walk, you will find traditional taverns and shops. Set in the historic Old Town of Chania, Ifigenia Studios offers traditional accommodation with indoor hot tub and free Wi-Fi. It has a cafe-bar and a rooftop terrace. Set amongst tropical trees and greenery, Dionysos Village is 200 metres from a sandy beach in Kato Daratso. It boasts a free-form outdoor pool, a snack bar/restaurant and a coffee bar. Iro Apartments is a charming small hotel, located just steps from Nea Chora�s sandy beach. Downtown Chania is less than 1 km away. Rooms have sea or street views. A rooftop terrace with panoramic sea view is available. 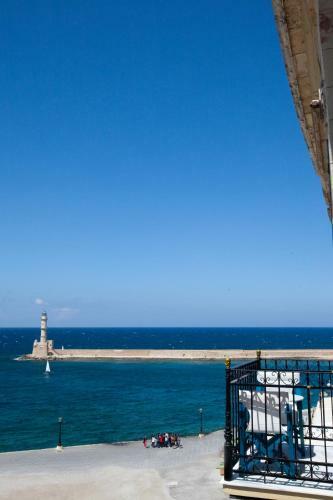 Pia Rooms is centrally located in the Old Town of Chania and just 20 metres from the Venetian Port. It offers air-conditioned rooms with free Wi-Fi. Shops, bars and restaurants are just steps away. Centrally located in the picturesque old town of Chania, Earini Apartments is 50 metres from the charming Venetian Harbour. 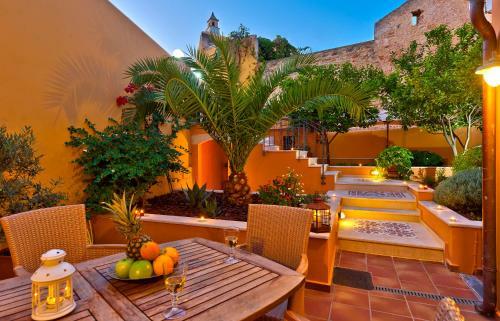 It boasts a shaded and furnished communal courtyard and free Wi-Fi access. All the rooms at Earini are air conditioned. 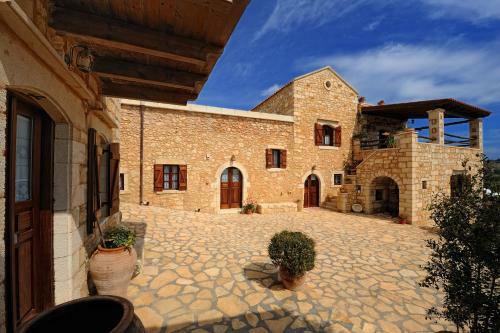 Set in the cobble stone streets of Old Chania City, Villa Mill is a restored historic building. This self-catered accommodation opens out onto balconies boasting inland, mountain or Cretan Sea views. Located in the traditional Xirosterni Village of Chania, the stone Viola Suites features a pool with sun terrace amidst its well-tended gardens. It offers apartments with fireplace and a balcony and patio overlooking the mountain. 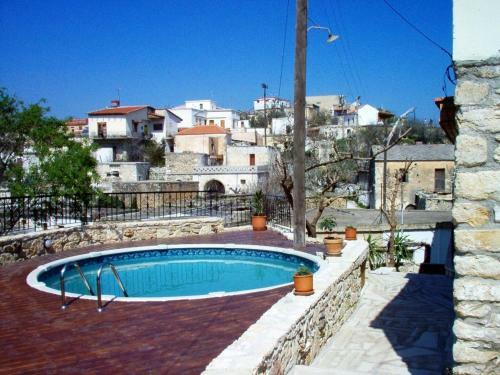 Located in Daratso village, Orionas is surrounded by a lush garden with olive trees and stone-paved alleys. 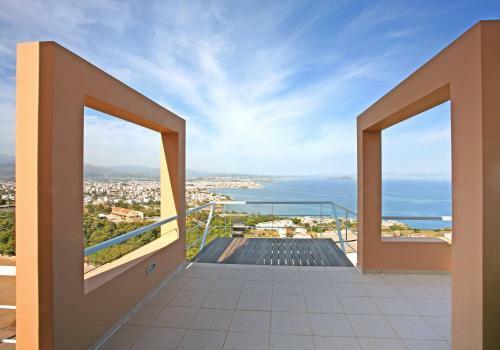 It offers split-level apartments, opening to a balcony with distant views of the Cretan Sea. Agioi Apostoloi Beach is 1.8 km away. Located in the old town of Chania, just 50 metres from the Venetian port, Eleonora offers traditional studios with air conditioning and kitchenette. It also features a furnished, rooftop terrace with views over the scenic surroundings. 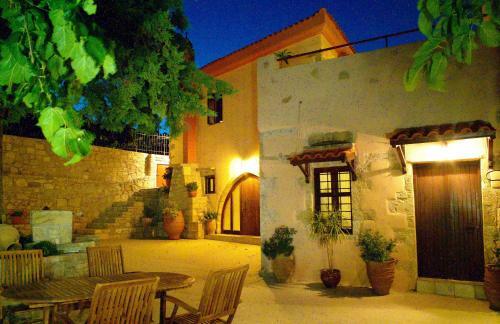 Morfeas Nest is located in the Old Venetian Harbour of Chania, 300 metres from the beach of Nea Chora. The small family-run hotel features a communal terrace with town views. Just 150 metres from the sandy beach of Agia Marina, Orion Star boasts an outdoor pool and a poolside snack bar. Its self-catered and split-level apartments offer a balcony with garden views. 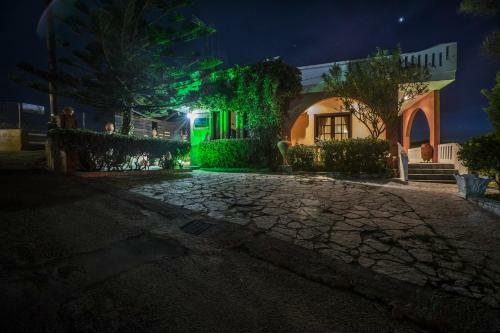 Close to caf�s and a tavern, the stone-built Iosif Apartments is located in the traditional Vafes Village. It features a circular outdoor plunge pool and accommodation with a satellite TV and balcony. 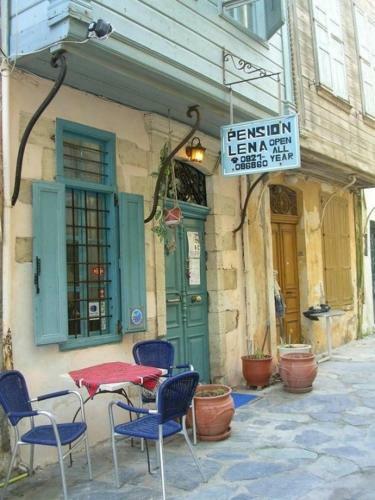 In a historical part of Chania�s Old Town just 200 metres from the beach of Nea Hora, Pension Lena features romantic-style rooms with free Wi-Fi. 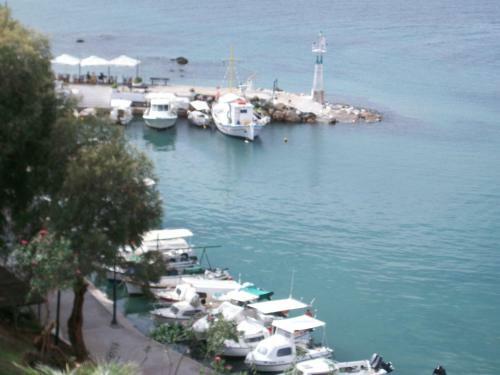 Cretan restaurants, shops and traditional caf�s are within a 5-minute walk. 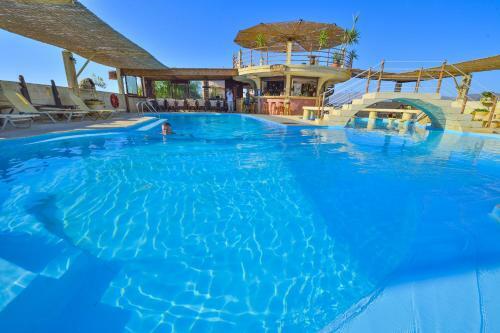 Offering a pool, the family-run Dimitra Studios is located in the village of Kalyves within walking distance of traditional taverns, cafes and a super market. Featuring a pool with a furnished sun terrace, Nicolas Studios & Apartments is located in Agia Marina Village within 9 km from Chania Town. Smaragdi is a historic 14th-century building centrally located in the Old Town of Chania just 50 metres from the Venetian Port. It features colourful rooms with air conditioning and views of the scenic street. 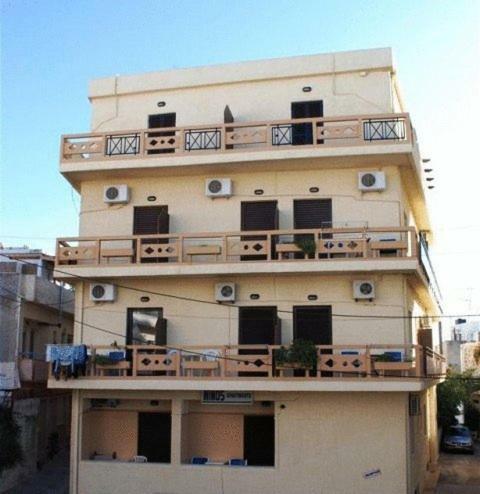 These air-conditioned studios are located 100 metres from the beach of Nea Chora, 1 km from the centre of Chania. Each studio has a private balcony or terrace with a seating area. Just 50 metres from Chania�s Venetian harbour, Stoa Rooms is set in a historic building and offers air-conditioned studios with a satellite LCD TV. Taverns and restaurants are only a 2-minute walk away. This budget Chania accommodation enjoys a privileged location, within a 5-minute walk of the Old Town and the Venetian Port. The family-run Diana has a charming courtyard, ideal to unwind under the banana trees. Located on a hill above Plaka, Nostalgia Villas have panoramic vistas of Souda Bay, the White Mountains, and acres of olive groves. Private pools with sun beds and a garden with barbeque are featured. Just 600 metres from Chania, on the beach of Nea Chora, Katerina Rooms offers free Wi-Fi and spacious accommodation with balconies overlooking the Cretan Sea. Air conditioning, a fridge and TV are standard in all of Katerina Apartments. Right by the sea, Stelisia Rooms is located on the sandy beach of Nea Chora in Crete. It features a restaurant with local specialities and rooms with free Wi-Fi. Rooms at the Stelisia have air conditioning and a TV. Morfeas Hotel is located in the Old Venetian Harbour of Chania, 300 metres from the beach of Nea Chora. 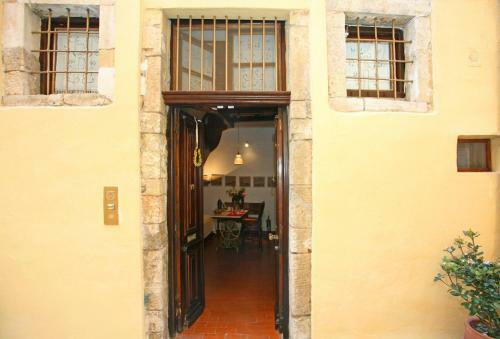 The small family-run hotel is within walking distance of the Municipal Market, museums and the famous Lighthouse. Nestled amidst a green forest, this 18th-century mansion is located in the scenic Apokoronas of the Chania region. Its luxurious units offer country-style kitchens and are equipped with flat-screen TV. 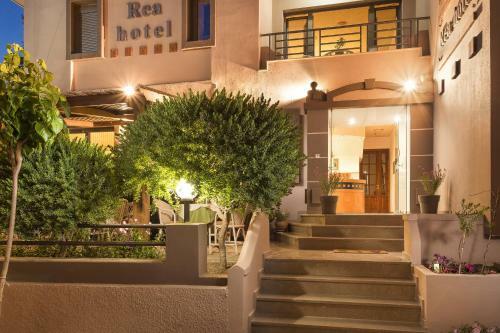 Right across from the beach of Nea Chora in Crete, Elena Studios features air-conditioned rooms with a balcony. 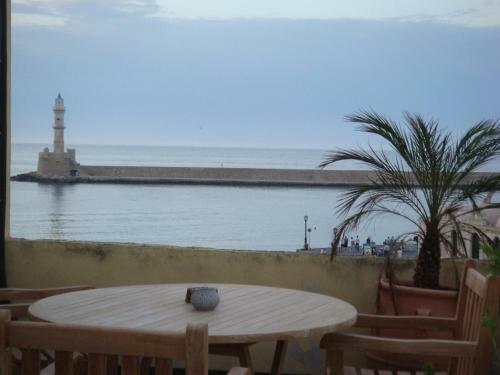 The centre of Chania and the Venetian Harbour are just 700 metres away. 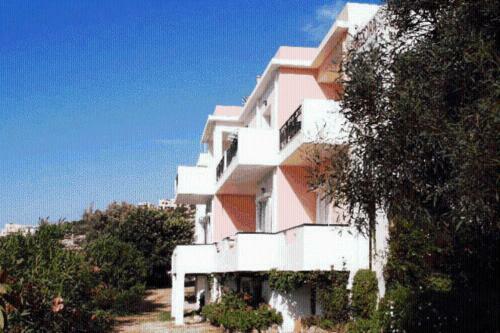 Situated right across the beach of Nea Chora, Nea Elena Apartments offers accommodation with kitchenette. It has a restaurant and it is 700 metres from the picturesque centre of Chania. Renovated with care, Kores Boutique Houses are located in a quiet Chania neighbourhood right next to the Venetian walls. Set in 18th-century stone buildings, villas come with kitchens, dining furniture and a furnished seating area. Situated in the historic Akrotiri, Tower Loucerna offers air-conditioned rooms with panoramic views of the sea and Chania Town. It features a breakfast hall and offers free private parking. The romantic guest rooms have access to the garden. Hera Studios is a small traditional hotel, located in Theotokopoulou - one of the most famous, historic streets of Chania old town. 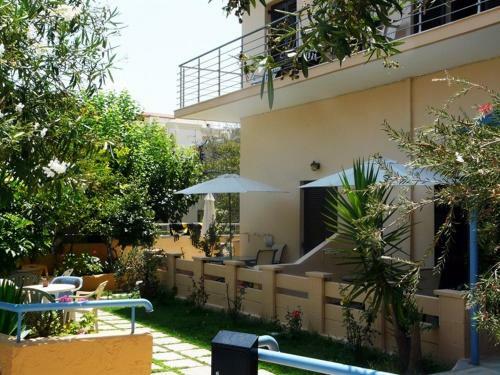 This centrally situated studio complex is 60 metres from the beach and 50 metres from Chania�s scenic fish taverns. It offers an all-day bar and air-conditioned rooms with private balcony. Just 100 metres away from the beach of Nea Chora, Alexandros offers studios and apartments with a private balcony and free Wi-Fi access. The scenic city of Chania is 1 km away. 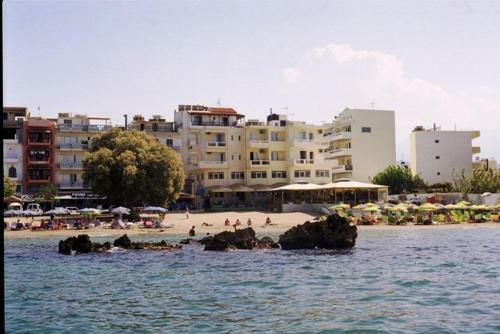 Theofilos Hotel is situated 2 km from the beach and 1.5 km from the scenic old town of Chania. It offers free Wi-Fi in public areas and buffet breakfast. Rooms at the family-run Hotel Theofilos include air conditioning and a TV. Imeros is a family-run pension, centrally situated in Chania. It is a short walk from the original Venetian house, to the beach and harbour. Shops and restaurants are easily accessible. 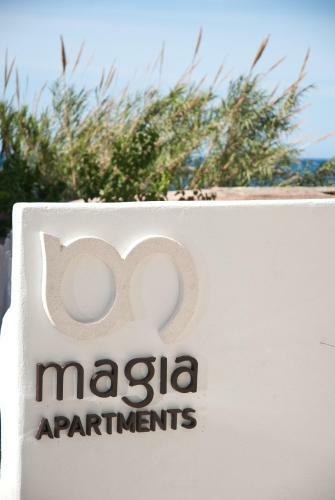 Magia Apartments enjoy a central location 30 metres from the beach of Chania in Nea Chora. It offers bright studios and apartments with private balcony with sea view or garden view. 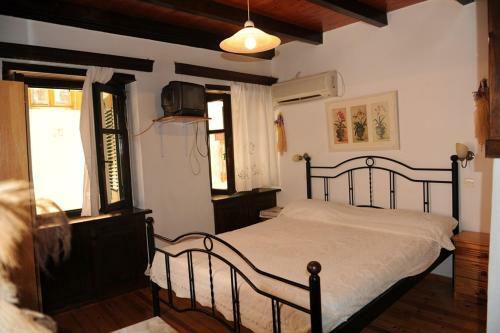 Irini�s House is situated in the village of Vafes in the historic area of Apokoronas. It offers apartments with traditional ovens, as well as a courtyard and a small pool with deck chairs and umbrellas. Located right by Georgioupolis River, near Kalyvaki Beach, Anna offers fully equipped accommodation with spacious furnished balcony. It is surrounded by landscaped gardens and has a large pool with sun terrace. Arocaria Apartments are situated in the best location in New Chora with view to the picturesque marina and the beach. In a distance of only 800 metres from the port, and 3 minutes walk from the beach. 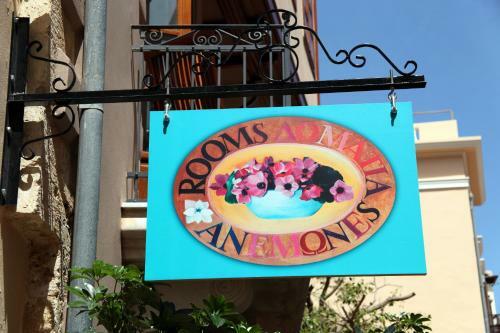 Situated in a quiet street in the Old Town of Chania, just behind the Venetian Harbour, Anemones occupies a 17th-century house with traditional interiors. Anemones Apartments offer a relaxing atmosphere in beautiful surroundings. Centrally located in the Old Town and facing the sea, Villa Venezia is set in a traditional, 400-year old building 800 metres from Nea Chora Beach. It offers a Greek tavern on the ground floor and free Wi-Fi throughout. Set in a scenic street in the Old Town of Chania, the family-run Anastasia offers traditional air-conditioned apartments, just a 2-minute walk from the Venetian port. Free Wi-Fi is provided throughout. Semiramis Suites lie 50 metres from the well-known sandy beach of Chrisi Akti. It offers rooms with free Wi-Fi access and views of the sea. Accommodation at Semiramis includes rooms and suites with TV and fully equipped kitchen with dining table. 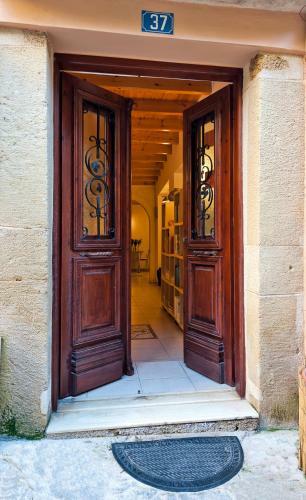 Anemi is housed in a renovated Venetian building, in the centre of Chania�s Old Town, opposite the Byzantine chapel of Saint Irene. Guests enjoy air-conditioned apartments. Located in Chorafakia and surrounded by olive and pine trees, Michalis offers fully equipped sea-view villas with free Wi-Fi access. It has a pool and provides free private on-site parking. 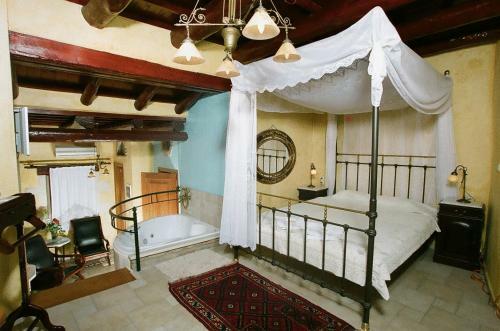 Situated in the old town of Chania, the family-run Katerina Traditional Rooms are 50 metres from the Venetian Port. The beach at Nea Chora is around 10 minutes� walk away. Offering free Wi-Fi, each room provides air conditioning, a TV and fridge. 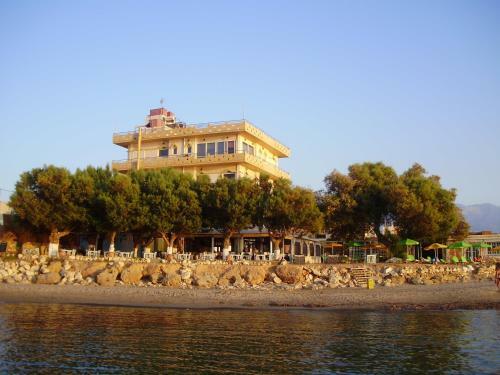 The family-run Frini Hotel is located right across the beach of Nea Chora, 1 km away from the Old Town of Chania. It offers air-conditioned rooms with balcony. Frini rooms are simply furnished, while some enjoy views to the Cretan Sea. 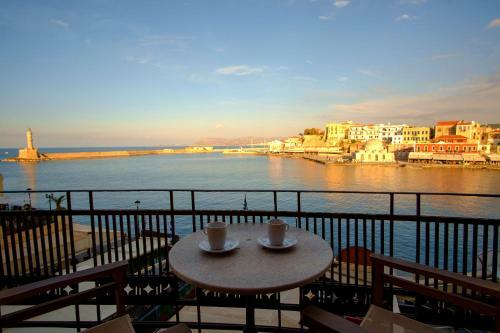 Hotel Helena is located in Chania�s Old Town, overlooking the Cretan Sea and the Venetian port. It offers air-conditioned rooms with free Wi-Fi. The closest beach is at 500 metres. Situated in the fishing village of Almyrida, these hill-top apartments include balconies with either lateral or frontal sea view. Traditional Cretan dishes are served at the many taverns and bars surrounding the property. In the heart of historic Chania, family-run Contessa Hotel is set in a traditional Cretan home circa 1800. 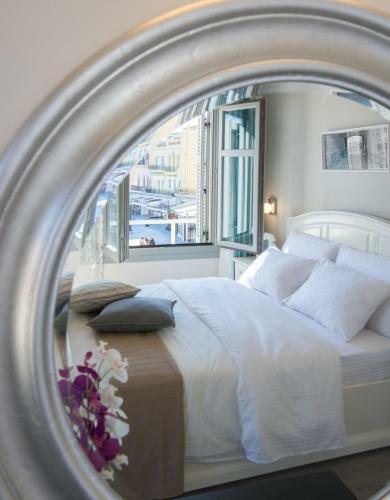 Surrounded by the narrow streets of the Venetian Quarter, it offers homely rooms, several with harbour views. 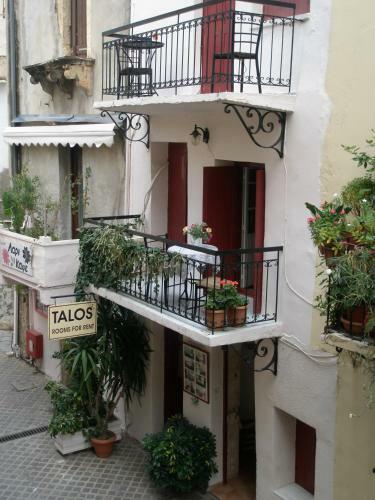 Talos Rooms offers air-conditioned accommodation with a private balcony overlooking one of the most picturesque streets of the Old Town of Chania. The Venetian port is just a 2-minute walk away. All rooms at Talos enjoy free Wi-Fi access. Set in a historic building, 300 metres from the Venetian Port of Chania, Casa Latina offers air-conditioned studios and apartments with private kitchenette. Free wired internet is available in all units, while some feature free Wi-Fi. Overlooking the Chania beach, the Melani offers comfortable apartments, each with a balcony facing the sea. Shops and restaurants in the town centre are just 800 metres away. Free Wi-Fi is available in all areas. 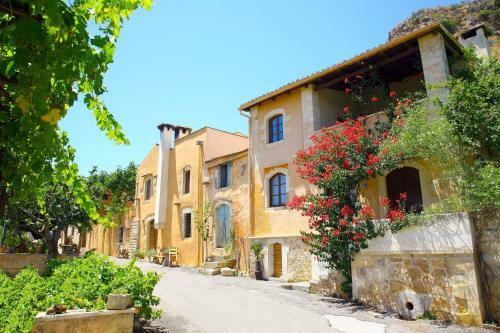 40 metres from Chania�s Old Harbour and 300 metres from the beach, this complex offers traditionally styled studios in the heart of the Old Town. It has free wireless internet access and a rooftop terrace overlooking the harbour. Diporto offers traditional fully renovated rooms enjoying a view to 2 of the most picturesque streets in the old town of Chania, Bettolo and Stivanadika. Centrally located in Chania�s Old Town, Casa Veneta offers air-conditioned accommodation overlooking the Venetian Port or the scenic street. Nea Chora Beach is at 500 metres. All accommodation features a kitchenette with fridge and cooking rings. Nikolas Rooms enjoys a central location in Chania�s picturesque Venetian Old town, on the square of the Greek Orthodox Church. A few steps away guests can find bars, caf�s and restaurants. 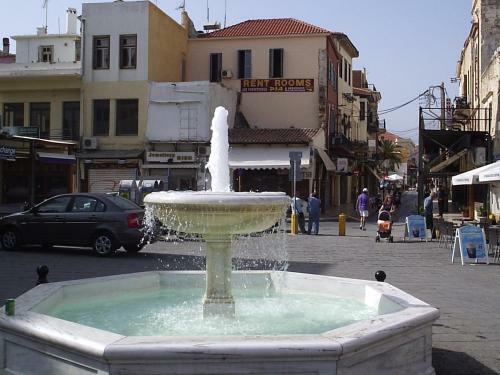 This budget hotel is situated in Chania�s Old Town, a few minutes� walk from Archaeological Museum of Chania. It offers air-conditioned rooms and free wired internet in communal areas. 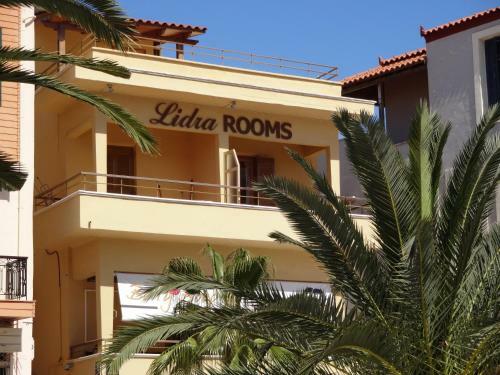 Located in Almyrida and just 50 metres away from the beach, Isadora features free Wi-Fi and self-catering apartments surrounded by a garden. 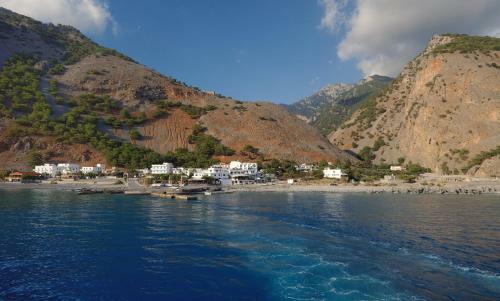 Their furnished balconies offer beautiful unobstructed views of Souda Cove. Located on the edge of the picturesque Exopolis village, Irida is a family-run complex enjoying views of the Cretan Sea and the White Mountains. 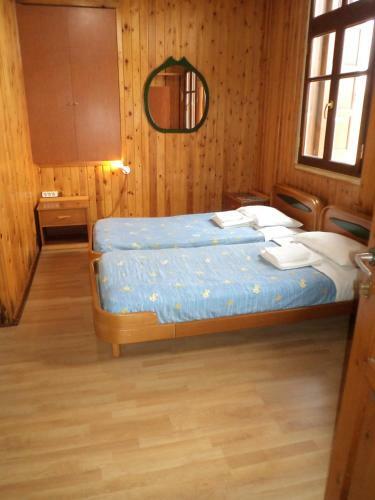 It offers a traditional tavern and accommodation with free Wi-Fi. Set within lush gardens, Viena Rooms & Apartments offers air-conditioned accommodation and features a 200-m� pool with pool bar. It is situated 6 km west of Paleochora. Set in a renovated, 19th-century complex of traditional buildings, Fabrica offers self-catered country houses overlooking the scenic Vamos countryside. Each air-conditioned house features dining area with fireplace and free Wi-Fi. Daphnis offers fully equipped 3-level villas, each with free Wi-Fi access and an individual parking space. It has a swimming pool, while the beach of Pyrgos Psilonerou is 200 metres away. Situated in the picturesque village of Kastellos, just outside Georgioupoli, this hotel features traditional stone apartments and an outdoor swimming pool. It offers free public Wi-Fi and on-site parking. 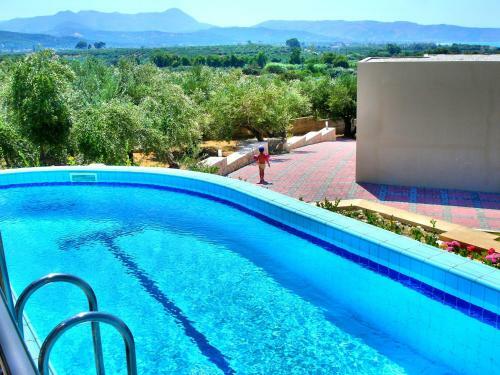 Situated 5 km away from Crete�s only natural lake, these comfortable apartments offer a relaxing environment with an outdoor pool and beautiful views of the sea and the White Mountains. Set upon a hillside in Tavronitis, Antilia Apartments displays magnificent views to the Aegean Sea and the White Mountains and offers a variety of accommodation with spacious balconies. 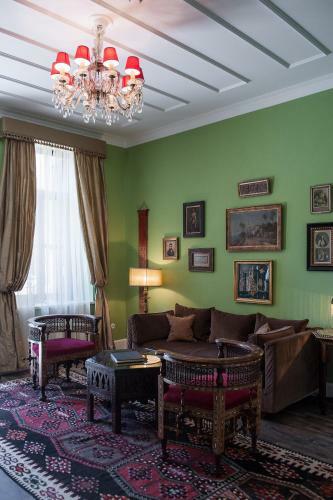 Our 8 rooms and suites are located in 3 carefully restored buildings in the heart of the old town, close to the Venetian port. They are connected by a shaded courtyard where breakfast is served. Located in the centre of Chania, regarded as the most beautiful city on the island of Crete, this hotel is the perfect anchor point for exploring the area. Friendly and family run, Iason Studios offer clean and comfortable accommodation with free Wi-Fi right at the heart of the old town of Chania. Pension Kasteli is located on Kasteli Hill, a quiet neighbourhood within the Old City of Chania and just 200 metres away from the Old Port. It offers all the characteristics of traditional Cretan hospitality. 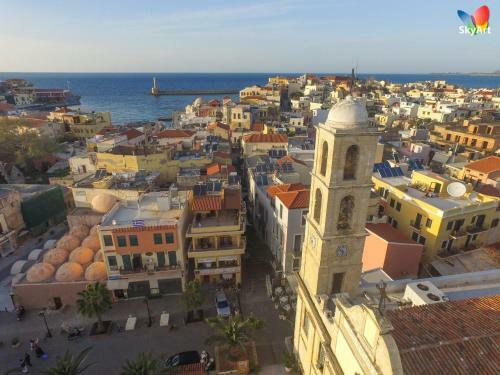 Offering stunning views of Chania�s Venetian Old Town from its terrace, Ifigenia Rooms provide traditional and comfortable accommodation close to all the action. There is free Wi-Fi at the hotel's cafe. Set in the quiet maze of back streets behind Chania�s harbour, next to the Kastelli area, Splanzia Boutique Hotel offers contemporary hospitality with respect to local tradition and history. 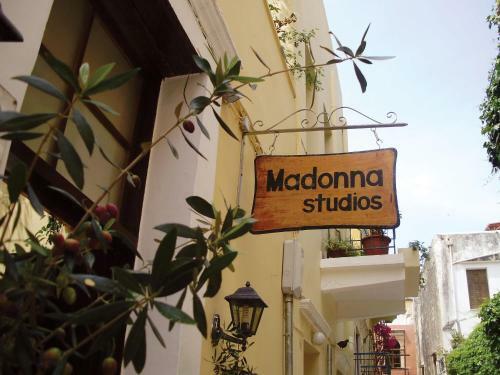 Madonna Studios is located in a charming area, on a picturesque street in the west part of the old town, next to the Maritime Naval Museum. Located in the picturesque Nea Chora, just 60 meters away from the sandy, blue flag beach, Penelopi Rooms offers rooms with free WiFi and balcony. 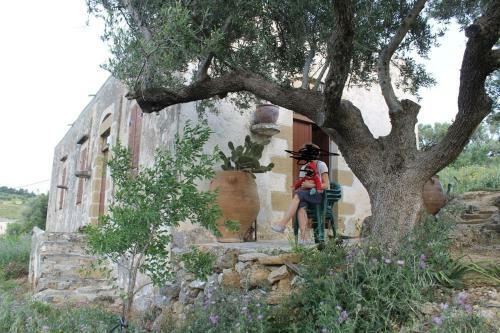 Quietly located in the village of Tsikalaria, Tsikalaria Traditional Stone House is a detached holiday home amidst trees and plants. It has a spacious terrace with sun loungers, from where guests can enjoy mountain views. Chania Holiday Homes are located in Chania Town. It offers self-catering accommodation with a furnished patio overlooking the garden. Free WiFi access is available in all areas. 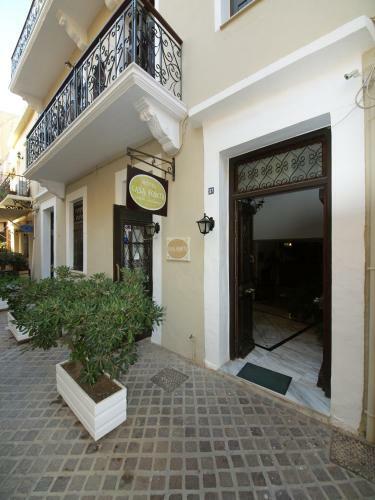 Dorotheou House is located in the historic centre Chania. It offers luxurious accommodation split in 3 levels with a fully equipped kitchen and free WiFi. It is 1 km from Nea Chora and 100 metres from Saint Anargyri Church. Featuring an outdoor pool, garden and terrace, Unlimited Blue is situated in Crete. It offers free WiFi and a balcony overlooking the sea. 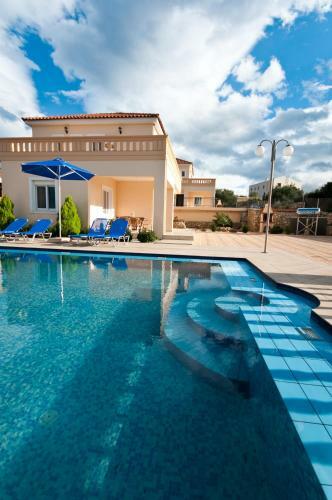 The villa is 4 km from the scenic Chania centre. Within 50 metres from the beach, Candia Hotel is located in Chania Town. Free WiFi access is available in all areas. Opening to a balcony, each accommodation unit here will provide you with a flat-screen TV and air conditioning. 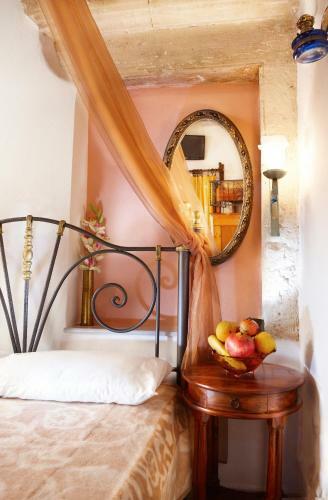 Harismari Cozy Hotel is a Venetian building centrally located in Chania offering tasteful rooms with traditional features. 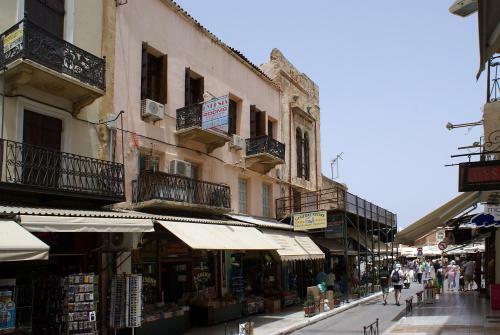 Within 100 metres, you can visit Agioi Anargyroi Church and the Municipal Market of Chania. The traditionally built Dorothy's Dream in Chania Town offers unobstructed views over the Old Venetian Harbour from its terrace. Free WiFi is available in all areas. 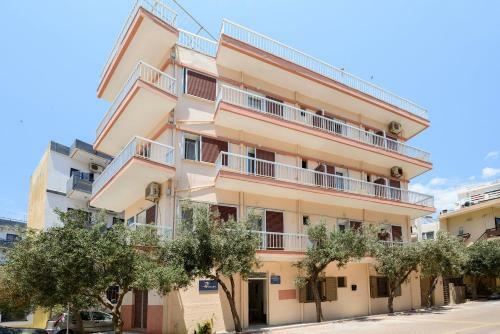 Located in the old town of Chania, just 300 metres from the old market, Myron House is a traditionally decorated and fully equipped unit with free WiFi. The scenic Venetian Harbour is a short walk away. Located in the scenic Chania Old Town, Erietta Suites features self-catering accommodation with free WiFi. Restaurants, caf�s and shops can be found within 150 metres, while Nea Chora Beach is 600 metres away. 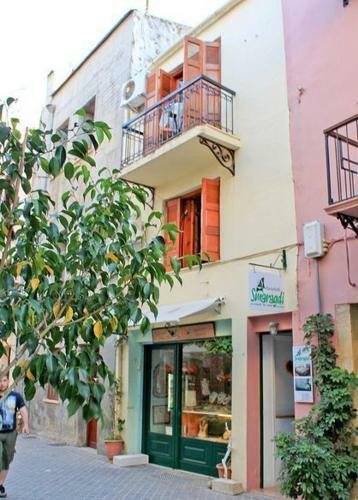 Set in a listed building, Iliotropio Art is located in the Old Town of Chania. Free WiFi access is available in all areas. 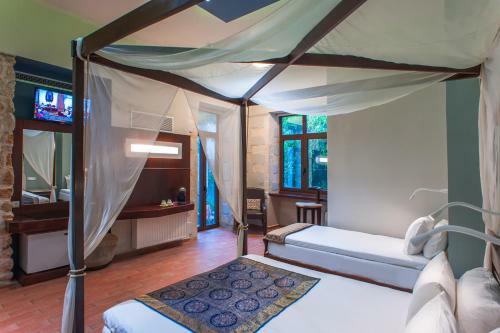 Bright and airy, each room at Iliotropio Art will features air conditioning and a minibar. 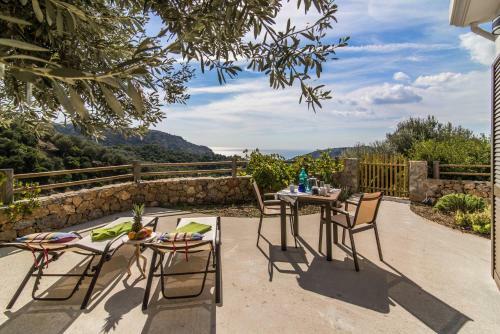 Quietly located in Fournes village, Citrea Villa offers an outdoor pool and free bikes. This stone built, split-level accommodation opens out to a balcony and terrace with garden, mountain and pool views. Free WiFi is provided throughout. Offering an outdoor pool with a sun terrace, Velanos Villas is located in Kefali Village. Both villas open to a balcony with views of the surrounding mountains. Free WiFi access is available in all areas. Orestis Hotel Apartments are situated on the hillside in the picturesque village of Upper Stalos, 9 km from the center of Chania, 14 km from Souda harbour and 23 km from Chania airport. Located in Stavros Akrotiriou of Chania, Artemis Village Apartments & Studios features a free-form pool surrounded by a furnished sun terrace, and a poolside snack bar. Located in the old town of Chania, Casa Del Porto offers elegant suites with free Wi-Fi access and a hydromassage shower cabin. 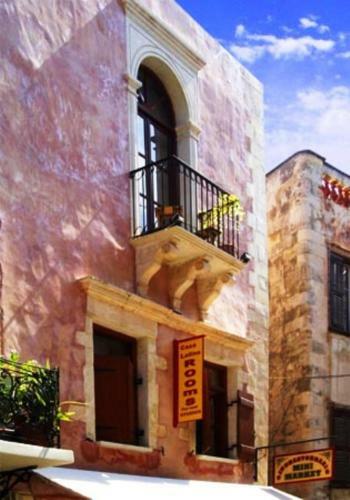 Featuring a balcony or a patio, suites at Casa Del Porto will provide you with a flat-screen TV and air conditioning. 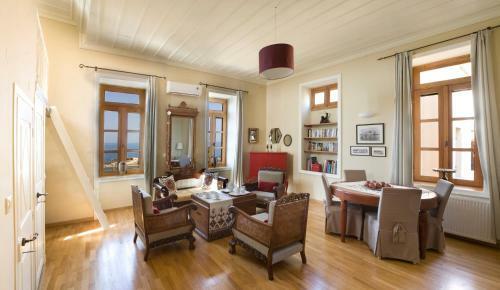 La Maison Ottomane is located in Chania Town within 100 metres from the scenic Venetian Harbour. 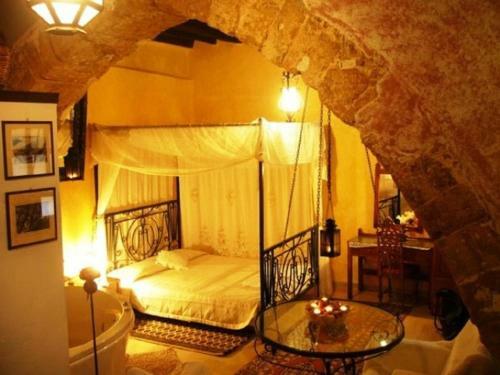 It offers suites decorated in oriental style, with living areas and free WiFi access. Located within a short walk from the sandy beaches of Chryssi Akti and Agioi Apostoloi, Forum Suites is surrounded by lush gardens with 2 swimming pools, a playground and a mini market. It offers self-catered accommodation with free Wi-Fi. Kleanthi Studios offers self-catered studios and apartments, only 50 metres from the beach of Chania. Free Wi-Fi is provided throughout the property. Situated in the heart of the Venetian harbour, in Chania, Hotel Amphora is a 14th-century building offering rooms with view of the Cretan Sea. It serves homemade breakfast and provides free Wi-Fi throughout. 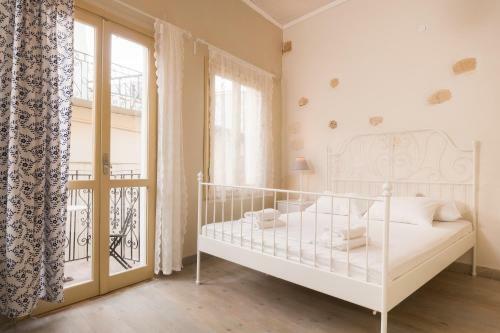 Located in a 15th-century Venetian building in the centre of Chania�s Old Town and next to the old harbour, the family-run Artemi's Rooms offers units with side Cretan Sea or town views. WiFi is offered throughout. Built on a low hill overlooking the Aegean Sea, the traditional hotel Villa Georgia offers self-catered accommodation with sea and sunset view. 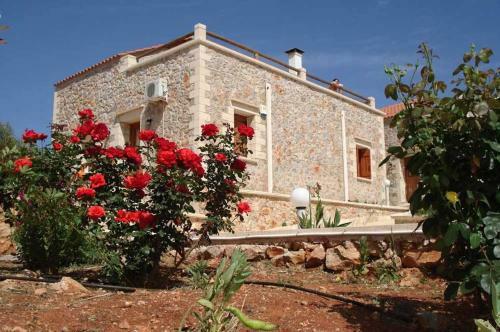 It is situated 80 metres away from the sea and 4 km west of Chania. The beachfront Blue Dome Hotel is located in Platanias and features a restaurant and 2 swimming pools with sun terrace and a poolside bar. Set amidst olive groves and orchards, Elia Traditional Hotel & Spa enjoys a hillside position with a view over the Mediterranean. 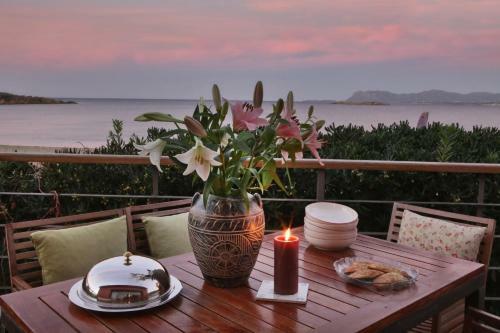 Guests enjoy beautiful accommodation, rejuvenating facilities and terrace with stunning sea views. 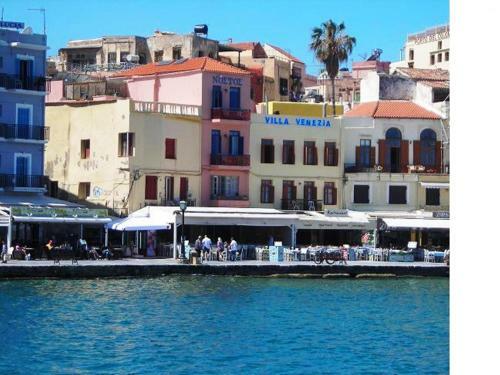 Built in 1659, Porto Antico is located in the picturesque Venetian harbour of Chania and within a short walk from the town centre. It offers traditional rooms with views of the Old Town, the port and the landmark lighthouse Pharos. Sevach is a small, family-run hotel, situated in Kalamaki, 4 km west of Chania, and only 20 metres from the Blue Flag sandy beach. Cafes, bars and restaurants are easily accessed. 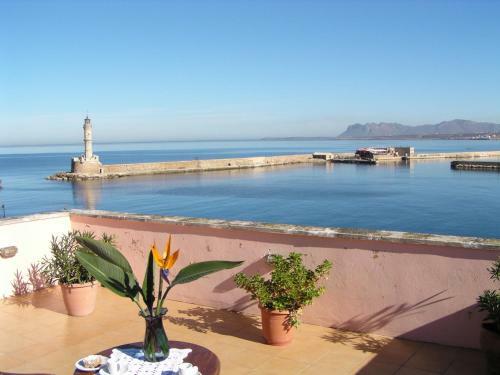 Set in a well-preserved 17-century building in Chania�s Old Town, this charming residence offers a rooftop terrace with magnificent views over the Medieval Port and the Lighthouse. Cathrine Suites is set in the historic Acrotiri, only a 2-minute walk from the beach of Zorbas. It offers self-catering accommodation, a pool with children�s section and a garden with barbeque corner. 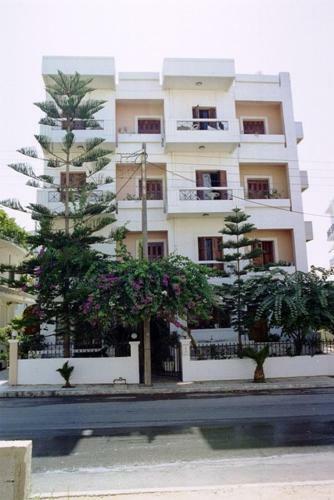 Just 40 metres from Gerani Beach, the family-run Matzi Studios & Apartments is surrounded by lush gardens. 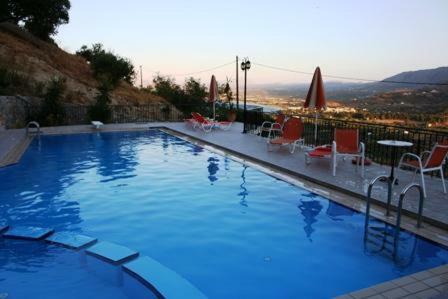 It offers a large outdoor pool and accommodation overlooking the garden, pool and Cretan Sea. 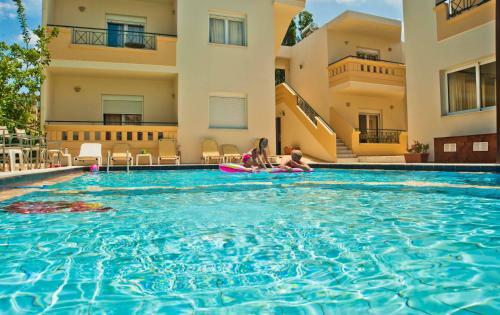 Anna Katerina Apartments are situated in a tranquil area in Platanias, just 50 metres from the lovely beach and within walking distance from the town centre. Free Wi-Fi is offered. The complex consists of 15 fully furnished and equipped apartments. "Vranas Studios enjoy a central location in the ""Venice of the east"", the old town of Chania, only 50 metres away from the Venice port. Free WiFi is available in public areas." Set in a 20,000-m� plot, Georgia-Vicky Studios and Apartments is in Stavros, Crete. It features views of the sea, the pool or the gardens from each unit's balcony and a sea-water swimming pool. Located at the heart of of the Old Venetian Town in Chania, Nostos Hotel is lodged in a charming well-preserved mansion, which dates back to the 1400s. 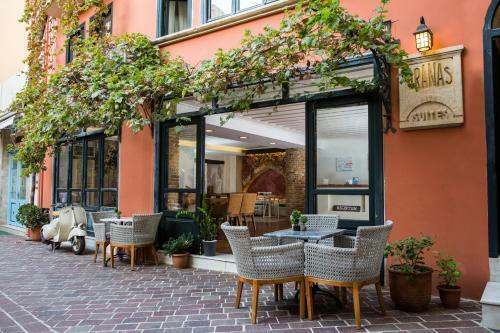 It features a rooftop terrace offering views over the Venetian Harbour and the old town. 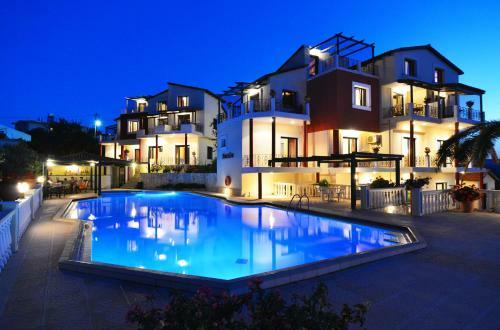 Mythos Apartments tucked in the old town of Platanias and close to the beach, enjoy a privileged location. Free WiFi is available throughout the property. 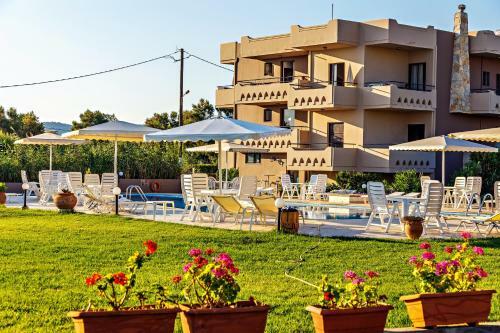 Situated on a hill, 600 metres from Nea Chora Beach, the family-run Frida Apartments offers self-catered apartments, and a pool with views to the sea and the city of Chania. 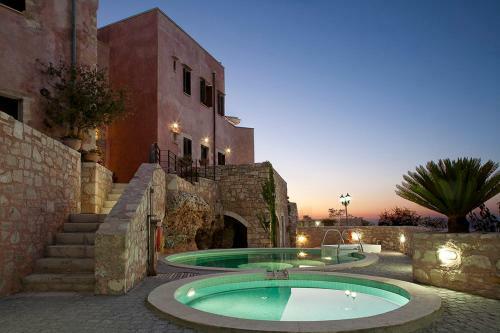 Douliana Villas is located in the famous Apokoronas peninsula. 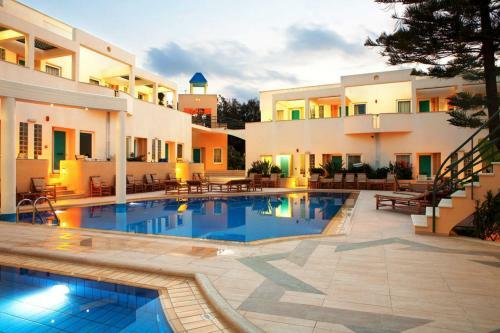 There are 20 villas to choose from all of them with a swimming pool located in the heart of the greenest area in Crete. Following the Venetian style of the old town of Chania, Ifigeneia Luxury Suites offers traditionally decorated accommodation with a hot tub. The nearest beach is 500 metres away, while Chania Port is at 7 km.